Are you feeling overwhelmed by all the tasks and details necessary to do your direct sales business? I feel like I am drowning. How are you supposed to be a #ladypreneur and run your business like a #BOSS when there are so many tasks and so few hours in the day. Never fear, I have your back ladies. Because I love ya’ll so much, I am spilling the beans on my newest and favorite productivity tools and apps. I encourage you to check them out and implement them into your business. Because let’s face it, we joined our companies to have more freedom, more money and more time for the things that matter most. These tech tips and tools will help you rock 2019. Let’s do this! Out of all the tools I use for my business, Cinchshare has made the biggest difference in my workflow and time management. With Cinchshare, I am no longer a slave to my phone because it posts to my facebook and twitter for me. This frees me up to comment, engage and increase my organic reach. It also frees me up from wasting a bunch of time “trolling” facebook for things to post. One of the things I love is how much I have learned from being a part of the Cinchshare community and blog. There are weekly trainings and tons of blog posts that share how to use Cinchshare to build your business. The tips, tricks and tools I have learned are invaluable and I am able to give more to my team because I share everything I learn with them. I use it to post engagement questions, interesting videos, blog posts and interesting content to my personal feed. Cinchshare posts cool content that I curate to my twitter and pinterest. The results are astonishing! I have thousands of new visitors to my blog because of reciprocity. I share others content and they share mine in return. LOVE!! I use Cinchshare to post training content to my team’s facebook group. Duuuuuh, why didn’t I think of this before? As a result of this, I am able to be more intentional in my coaching delivery. Cinchshare posts content to my Facebook business page and my Lady Boss Lounge group page. Can you say happy and engaged VIP and raving fans? LOVE!! My Facebook online events are killer because of Cinchshare. This is the original reason, I started using it. Over the summer, I almost exclusively held online socials. When done right, they can be a powerful selling tool and now with Facebook live they can be more exciting than ever. Online events are a great way to meet new prospects and clients. Cinchshare helps me host online opportunity events to share the business with prospectives. I use the event schedule feature on my fb business page (which has a public profile) and that way when new prospectives find me online through various channels, they have instant access to the opportunity information that I share in a scheduled event. I am seriously crushing it with Cinchshare and I want you to try it. Grab 37 days absolutely free, with promo code “CINCHFREE”. *New accounts only. If you are hosting virtual or in-person events, you have to have a fun and engaging invitation. I love using Paperless Post for stylish, chic easy to use invitations for my events. First of all, the invitation options and designs are endless including some of my favorite designers like Rifle Paper and Kate Spade. I love that they have dozens of options to chose to customize your design and you can send them through the easy to navigate dashboard using coins adding envelopes, liners and other features. 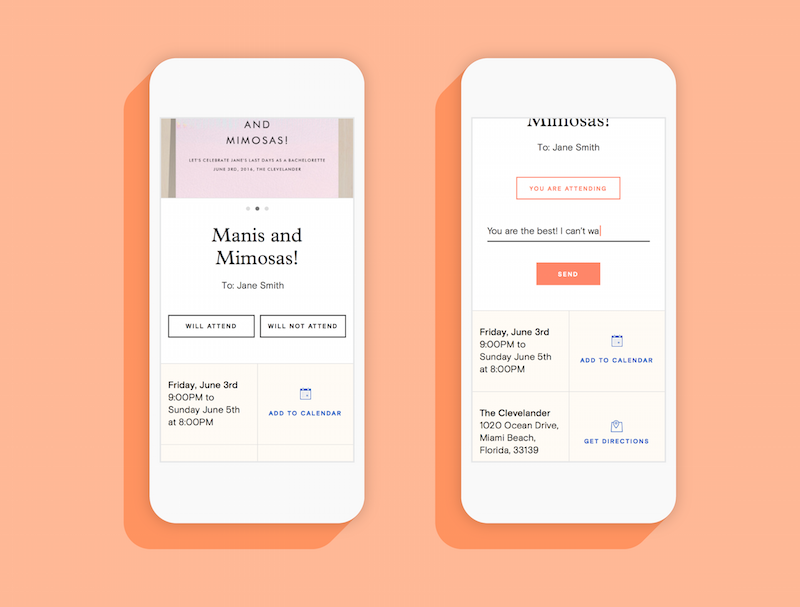 Next, for quick online events where social sharing is super important, I love the Flyer feature of Paperless Post which is completely free to use and so crazy customizable. First, chose your vibe then customize the invite with text, your image or fun Giphy graphics. I have loved using Flyer for a while and just recently realized that you can change the design to suit your needs. Total game changer. If you haven’t used Paperless Post and Flyer, give it a spin and let me know what you think. Instagram is my JAM! So I cheated here and added another tool that I use because these 2 go hand in hand. I have been loving Insta lately and spend way too much time on there. I know friends. So incredibly unsexy, but you have got to understand the platform. Instagram is not like facebook, which is meant for entertaining and spur of the moment pictures of your cat or your kid. Instagram is for inspiration. It is a highlight reel. I once read somewhere, your first 9 pictures on your Instagram should be your magazine, facebook is where you engage with your fans. 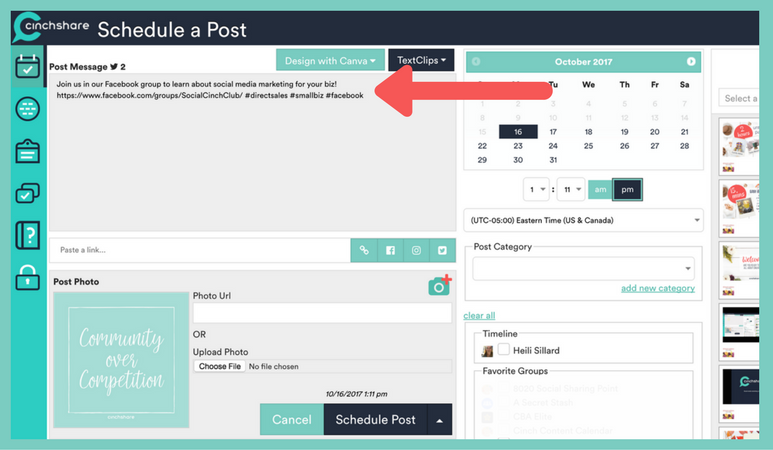 Scheduling your posts ahead of time will save you sooooo much time. My favorite for this is Planoly. I am shouting it from the rooftops. What I love most about Planoly is that I can use it from my desktop and it posts to Instagram for me. Wha wha Whaaaat! Yes, and I can add multiple Instagram accounts (I have a total of 3!) and it allows me to add the emoticons and the first comment with hashtags all at the same time. Then I just set it and forget it. I love this so much because I love writing engaging captions. Sometimes a gal has got to sit down at her desk and do that. For me this app is an absolute must. Hands down one of my favorite tools to use with Instagram. The other tool that I love, is Link.tree. Let me explain why this is also another fabulous tool. This makes your instagram bio link clickable with more than one link. The reason I love Linktr.ee is because sometimes I want users to sign up for my mailing list or visit my blog or join my VIP group. They can’t do that with the one clickable link on my Instagram profile if its my business website. This has been a huge driver of traffic for me. My sales and sign ups have been through the roof. Whoot woot!! Another game changer tool. Love it. Can’t say enough good things about this. Have you ever wanted a virtual office and virtual assistant in the palm of your hand? Now you have it, with Maven. Maven was inspired after talking to hundreds of consultants and multiple companies who shared how difficult it was to manage their businesses on the go and keep up with customer follow-up. The Maven app is available for any direct seller to use. You can use it on your iPhone, Android phone (requires Android 6.0 or higher), iPads and tablet. Learn more on Maven’s website and download it today to start your 30-day free trial. The Maven app is available for iOS and Android (requires Android 6.0 or higher) and has a 30-day free trial. After you free trial, continue with an AMI Pro subscription for unlimited contact reach outs and access to a Desktop Portal. Excited to try it? What are your favorite biz tools? I would love to know. Tag me on Instagram @luckyandlovely #luckyandlovelybossbabe and show me the good stuff so I can cheer you on! *This post contains affiliate links and I will receive a commission if you click and purchase products I have linked here. As always, I only share and feature products I use and absolutely love. Thank you for supporting the brands that support this blog. Will Maven be available to Android??? It looks amazing! David, I don’t know! I will certainly ask the founders. Thanks for reading! Keep up the great work! !